Q. I’ve been using your iPhone App for a couple of weeks, but after I downloaded the latest iPhone software update (iOS 5.1) from Apple, the App no longer works. How can I get it working again? A. You’ll need to reboot your iPhone. Here’s how: Press and hold the Sleep/Wake button (the long button on the top edge of your iPhone) for a few seconds until the red slider appears on the screen, then drag the slider to completely turn off your iPhone. Wait 10 or 15 seconds, then restart it by pressing and holding the Sleep/Wake button again until you see the silver Apple logo on the screen. Every time Apple issues an update, the problem of apps—and not just TimePilot’s—not working without a reboot seems to crop up. Rebooting your iPhone will often solve the problem; if it doesn’t work, try syncing your iPhone with iTunes. Q. We are trying to add a new employee to our Vetro system, but we do not know the clock’s administrative password. Can you please let me know how to reset it? A. Follow these directions to retrieve the password for your clock: Open your Vetro Data Manager by going to Start > All Programs > TimePilot IV > TimePilot Vetro Data Manager. Once you are logged into the program, right-click your clock and choose Properties. You should now have a box that will display the clock's administrative password. To change the password, right-click the clock, choose "USB Functions" or "Network Functions," and choose "Change Change Clock Settings" (for USB users) or "Set Admin Password" (for network users). Party like it's 1147. There were two Thursdays and no Friday one week in 1147. Pope Eugenius III planned a trip to Paris and was scheduled to arrive on a Friday. In order for Parisians to celebrate his arrival (Friday was a day of fast—not a great day for a party), Eugenius decreed that that day would be a Thursday. More work in the "Workers' Paradise." In 1929, the U.S.S.R. decreed a week of five days. In 1933, a six-day week was decreed. By 1940, the seven-day week was restored. TimePilot Tips: iPhone App, salary vs. hourly and passwords. TimePilot Feature: All about 'The Cloud." 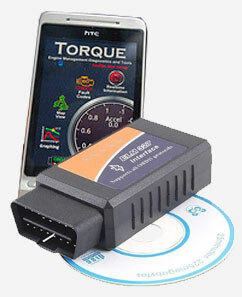 Cool Stuff: The ELM 327 OBD2 Car Diagnostic Interface Code Scanner. The Deal: $20 off the iButton Receptor. Up until a few years ago, the Internet was like a pipeline. E-mails went from place to place; web pages traveled from a company’s server to your screen. And if you wrote, say, a letter, you’d save it to your hard drive, which sat in the same box as the rest of your computer. In the last few years, the widespread use of “always-on” broadband internet access has changed how we think of distance. Now, at least in terms of computers, distance means nothing. You can save that letter you’ve written to a hard drive in a server 8,000 miles away just as easily as you can save it to the hard drive that sits inside your computer, inches away from your keyboard. Realizing that, companies have begun hooking up servers (essentially stacks and stacks of hard drives) to the Internet and offering customers the ability to easily store their files—documents, pictures, etc. In many cases, the customer might save that letter to their computer’s hard drive, which then automatically sends a copy to a server run by an online storage company. Easy file backup: If your hard drive dies, your crucial files are backed up and can be downloaded from the “Cloud” server. Easy file sharing: Instead of e-mailing files, you can put the files in a special folder in your Cloud account and let others download them from there. This is great for larger files like photos, which may be too big to be handled by e-mail programs. Why is it called “the Cloud”? Probably because the online server could be located anywhere in the world, and the term “the Cloud” implies that exact location doesn’t matter. Several companies are offering free Cloud storage to anyone: Dropbox (which is used by TimePilot), Microsoft’s SkyDrive, Apple’s iCloud and Amazon’s Cloud Drive, to name a few of the most popular. For those who like using a belt and suspenders, you can back up your files from your PC’s hard drive to an external hard drive made by Iomega Corporation and the drive automatically backs itself up to the Cloud. TimePilot’s new iPhone App uses Dropbox to transmit data from the phone to the computer running TimePilot Central, and our developers are working to incorporate that functionality into other TimePilot products. That will allow you to have multiple TimePilot timeclocks at remote sites and easily be able to import the data they collect using just an internet connection. The latest thing is Cloud-based programs. Imagine not having the Microsoft Word program on your computer’s hard drive, but, instead, using the Internet to access the Word program on Microsoft’s servers. Many of our customers use Microsoft Office. Every few years, a new version comes out, you buy the box and load the software onto your hard drive to use it. That’s so 2006! Microsoft now has Cloud-based versions of Word, Excel, PowerPoint and OneNote. To use them, you sign up for an account with Microsoft, start your Internet Explorer web browser, log in to your Office Web Apps account and start writing. If you didn’t know any better, you couldn’t tell whether the Word program was running on your hard drive or in “the Cloud.” Documents can be saved to an online Skydrive account or to your PC’s hard drive. You pay a monthly subscription for each user, always have the latest version of the software and you don’t have to worry about keeping the program updated. Companies are moving quickly toward these and other cloud-based apps. A recent survey of 600 large companies by a major IT company found that 19% in the U.S. already use Cloud-based applications and 34% expect to be using them by 2014. 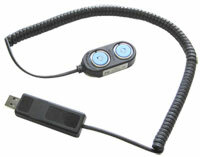 For users of TimePilot PC, it can be mounted at a PC and used with iButtons to clock in and out. For users of TimePilot Vetro and TimePilot Standard, it can be used to set up iButtons at the PC. It connects to the PC via a USB port.